Lembongan Bay is situated just offshore from Nusa Lembongan Island with a view towards Jungut Batu village with its surf spots and Mount Agung volcano on the mainland. It is ideally protected and the water depth allows for good snorkeling and discovering scuba diving for non-experienced divers. A 40x15m 2 deck pontoon is equipped with a 38m curving waterslide, lifeguard supervised snorkeling area, banana boats, semi-sub and much more. The diversity of fish and coral will keep you busy all day. The Bali Hai II will be docked alongside the pontoon throughout the day. A village tour is offered should you like to explore traditional, unchanged village life. 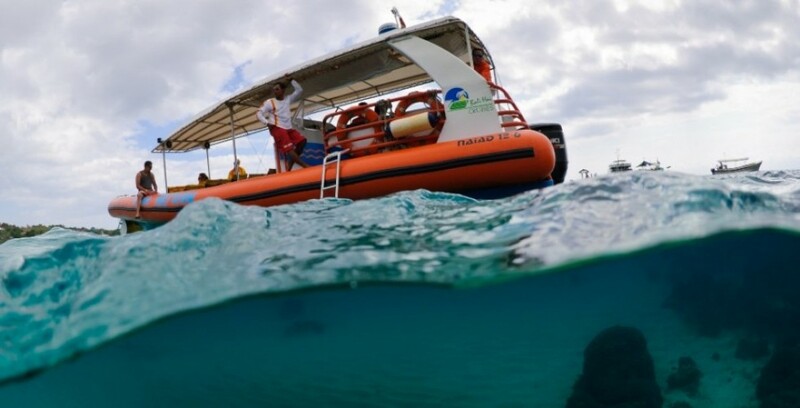 Our Island Reef Cruise offers a full day activities - above and under water. The luxury Bali Hai II catamaran moors alongside our purpose-built pontoon in peaceful Lembongan Bay. See the island’s exotic marine life and colorful corals from the comfort of our semi-submersible coral viewer. Try snorkeling or enjoy other activities: unlimited banana boat rides, a cultural tour of the island or our exciting 35 meter waterslide. And when you’ve worked up an appetite, feast on a delicious buffet served in air-conditioned comfort. 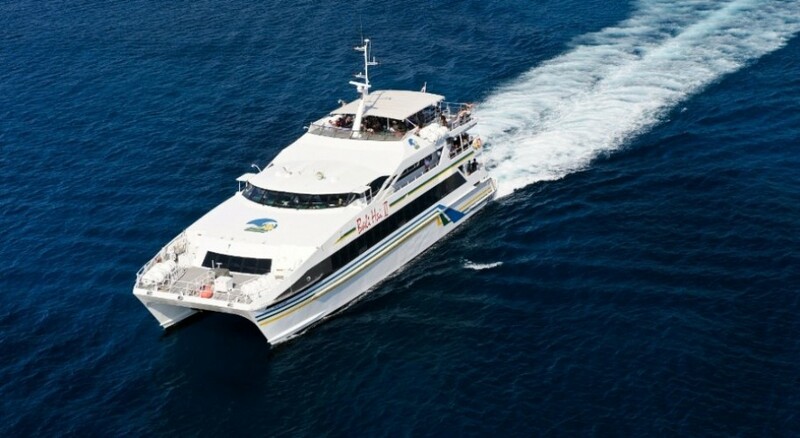 Enjoy Bali’s luxury evening cruise aboard Aristocat, Bali Hai’s luxury catamaran. Sail away into paradise aboard Aristocat - The Luxury Sailing Catamaran. 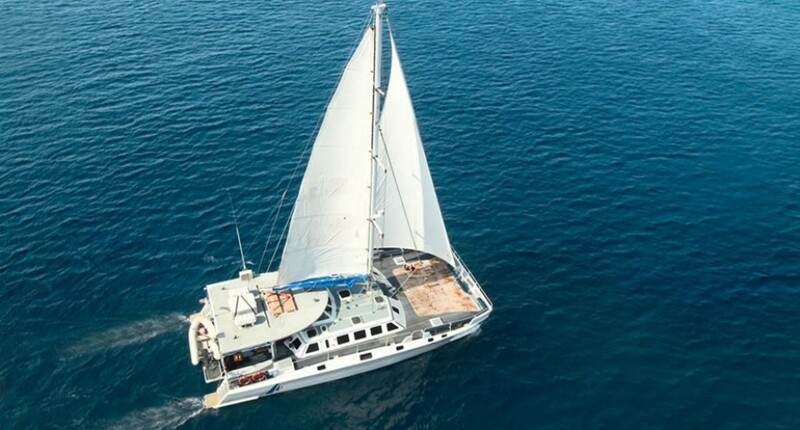 This stunning 64ft vessel is equipped to the highest standards and departs from Benoa Harbour to the idyllic isle of Lembongan, off the south-east coast of Bali, where you can experience the unspoilt charms of a peaceful tropical island. Enjoy a day in the pristine bay at Bali Hai Cruises private Beach Club, where you can relax on golden sand, lie back in the shade of tranquil gardens or cool off in a lagoon pool. 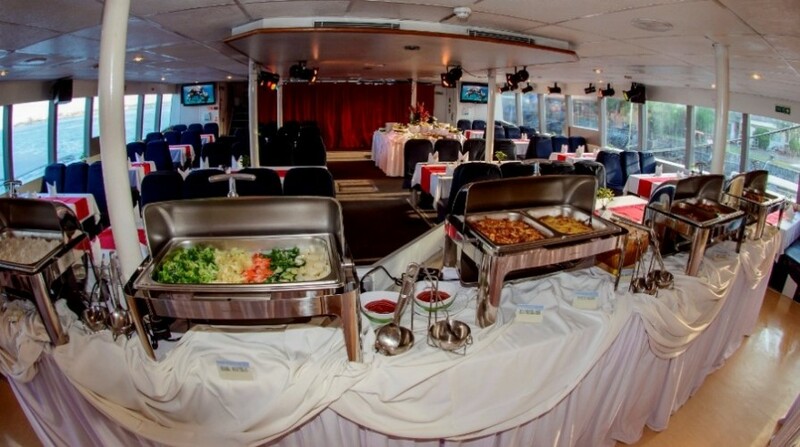 Complimentary soft drinks and refreshments are available on board Aristocat. At the Beach Club enjoy an appetizing BBQ lunch grilled at our poolside cabana, which includes salads, steaks and fresh fish. After lunch, join a guided village tour of this small unspoiled island, home to seaweed farmers. 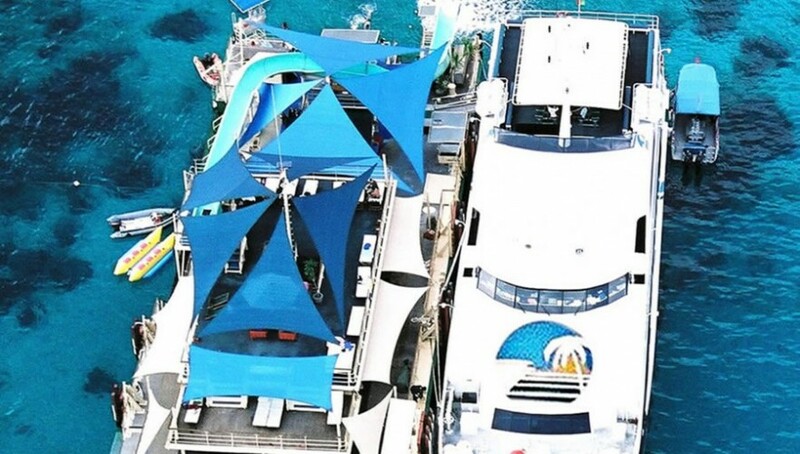 The Aristocat offers an array of water sports activities, including banana boat rides, pool volley ball, snorkeling and semi submersible coral viewer. Other water sports options include a parasailing adventure which will take you high above the water for a birds’ eye view of the island and scuba diving. Certified divers may travel further a field to experience life beneath the waves in this vibrant ocean channel. And when the day is done, Aristocat makes a leisurely cruise back to Benoa Harbour, arriving as the sun sets on another glorious day in paradise. Bali Hai Cruises offers day cruises, day sailing trips and evening cruises which appeal to a wide variety of tastes. Bali Hai Cruises has something for everyone. All cruises depart at their scheduled times from Benoa Harbour in South Bali. We will pick you up from your accommodation prior to departure.